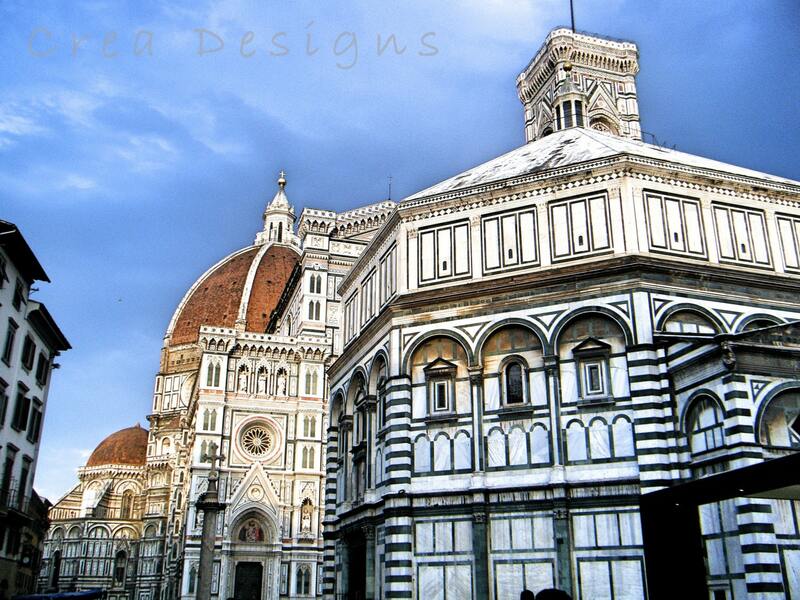 The Duomo Complex in Florence, Italy. This shot was taken from Via de'Cerretani and encompasses the entire cathedral complex including Santa Maria del Fiore (on which the Duomo sits atop), the Baptisery, and the Campanille Tower. Brunelleschi's design of the Duomo marked an important turn of events in the world of art and architecture, helping usher in the Renaissance. Larger images may be slightly cropped. All prints are ordered from a professional printing lab, please allow 3-7 business days for your order to be processed. The photograph is printed on premium quality archival photo paper, the watermark will not appear on your print. This print is unmated and signed on the back with acid free archival ink. *5x7, 8x10 & 16x20 in stock, ready to ship.